Our ewe’s milk also makes delicious artisan cheeses, all made with vegetable rennet. Our Mere Park Blue – winner of the Vegetarian Society’s Cheese of the Year 2016 – has been matured for at least 12 weeks to produce a fantastically creamy flavour. We also produce an award-winning Mere Park Pressed sheep’s cheese with a medium firmness and a wax-like finish on the outside, plus some great tasting seasonal soft cheeses, all of which are naturally full of goodness. 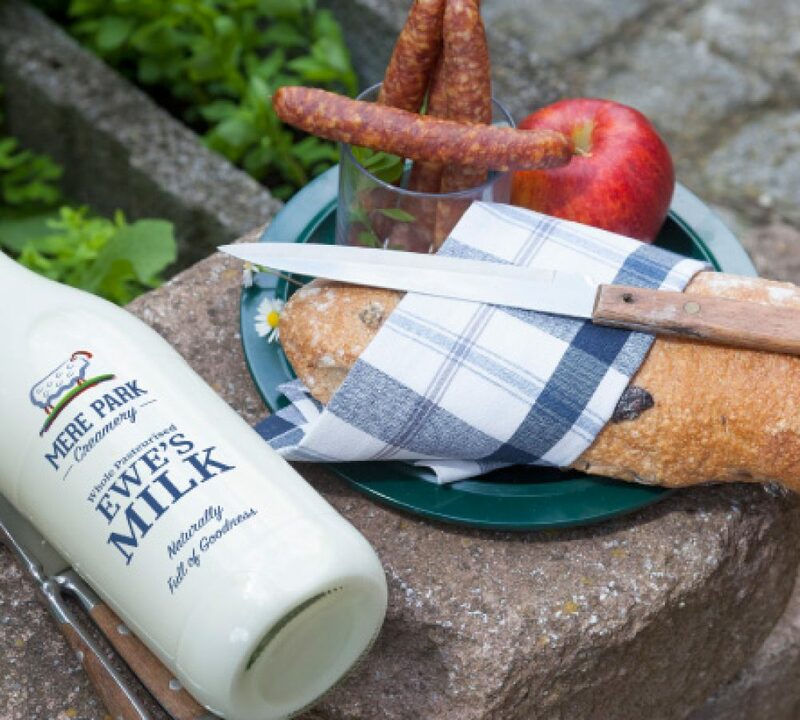 Our delicious Ewe’s milk is naturally homogenised, easy to digest and rich in nutrients. Full of goodness our nutritious Ewe's milk contains more nutrients than cow’s milk, providing your child with essential ingredients for a healthy lifestyle. Our full fat milk can be offered as a delicious, creamy drink or used in your cooking. Try it with your breakfast cereal or make some truely delicious porridge to get your day off to the perfect start. It can also be used to make a scrumptious frothy coffee. Children have declared it delicious. And if children like it – who are we to judge?! It has been described as sweeter, creamier and richer than cows milk.